What if you had a box full of thinking tools? What do you do when something breaks that you can't fix with your bare hands? You grab a tool that's designed to help solve the problem. But what happens when you're struggling to think through a strategic problem, or come up with a new, creative solution, but you're just... stuck?? Imagine if there was a literal toolbox that you could open up, flip through to find the category of thinking that you’re trying to do, and pull out a tool that could help you in that exact moment. A tool that would give you step-by-step instructions on how to shift your thinking… things that you can think about, say out loud, try, that would change the pattern that you need to be changed in the moment. Through years of working with hundreds of professional teams and organizations, we’ve developed tools for all different types of thinking categories, and we’ve collected them all together into Your Thinking Toolbox. The tools in the toolbox are designed to work whether you are at home or at work, individually or with your team members. They are designed to be something you can pull out and quickly in sometimes just minutes, change your thinking or experiment with a new way of thinking. Want to get a taste of what these thinking tools are all about? Join us for a Lunch & Learn Workshop where we’ll explore one type of thinking. We’ll unpack the brain science behind the behavior patterns, and introduce one of the tools we’ve created that you’ll have the chance to try during the workshop. Get ready for some major mindset shifts and aha moments, complemented by a delicious lunch. Using these tools skillfully is really important, so we developed a collection of workshops, one specific to each tool. The workshops are designed to give you the science behind the habits you’ve developed, the patterns that you have, the tools that we’ve created and how to use them. Each workshop attendee receives their own Toolbox with the Thinking Element Tool cards they practice during the session. As you learn more, your Toolbox grows. Click here to download Your Thinking Toolbox Workshop brochure. Have you ever just stopped and thought, “How do I make decisions?” Could you write down the steps you take? If you’re like most people, you likely don’t realize how many habits you have around decision making. 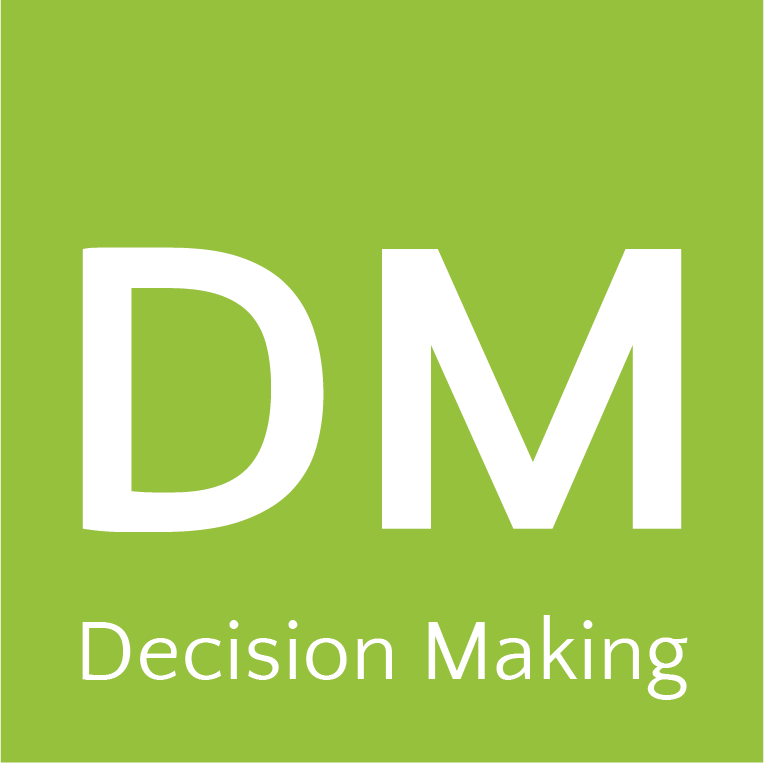 If you were to look at your decision making history, you’d discover that you approach all of your decisions in very similar ways. And it’s also likely that, like most people, you struggle with making decisions. Do you ever feel stuck? Or regret a decision? Do you need a lot of advice, or do you get other people to make decisions for you? Decision making can get messy, especially when it comes to teams in the work environment. There are lots of questions that come up, like who makes decisions? How are they made? What do I do with one that I don’t like? Very rarely do teams stop and work on strategic tools to make decisions. The tools we’ve created will help you take a step back and choose your thinking patterns, so you can make the changes necessary to better your decision-making process. 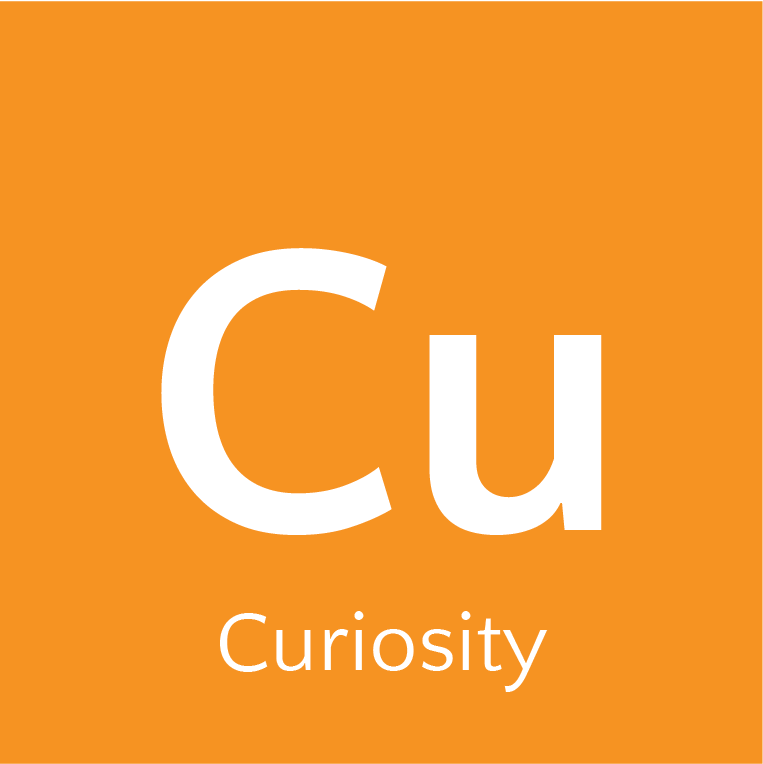 Curiosity is called the “gateway to learning”. Sometimes it gets a bad rap – it leads little kids into mischief and is fatal to cats. We are beginning to understand more about it, though, as an engine to learning, growing, change and even stress resistance. In his provocative book “Curious?”, Todd Kashdan says that curiosity is “the central ingredient to creating a fulfilling life”. We also know that in moments that we are experiencing stress, overwhelm, feeling stuck or less creative than one would like, having the ability to “turn on” curiosity in your brain can make all the difference. The Curiosity tools in the toolbox will enable you to flip the switch in your brain and let curiosity do its magical work. Most of us are unaware that our nonconscious brain is doing most of the heavy lifting when it comes to problem-solving. Your brain is going to address the problem in front of you in ways that it’s dealt with similar problems in the past. The solution that worked yesterday is the solution that your brain is going to bring you today. This can be helpful, but it can also get us in trouble. In business today, our problems aren’t as simple as they used to be. In the past, most of the problems that businesses faced could be solved by bringing in an expert, consulting the manual or resolving to best practices. Now, our problems have become more complex, and the way in which we need to solve them is much more emergent. The challenge we face today is this: do we have the right cognitive tools to be able to solve problems in that way? 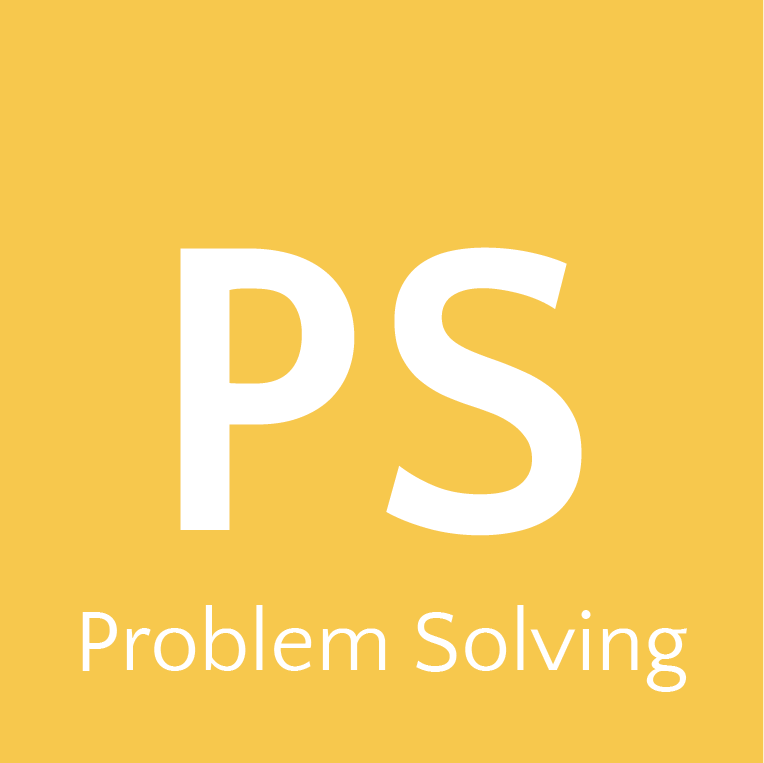 Our toolbox is full of tools that give people the strategies that they need to be able to look at problems in fresh ways, and use the kind of thinking that can create totally new solutions. 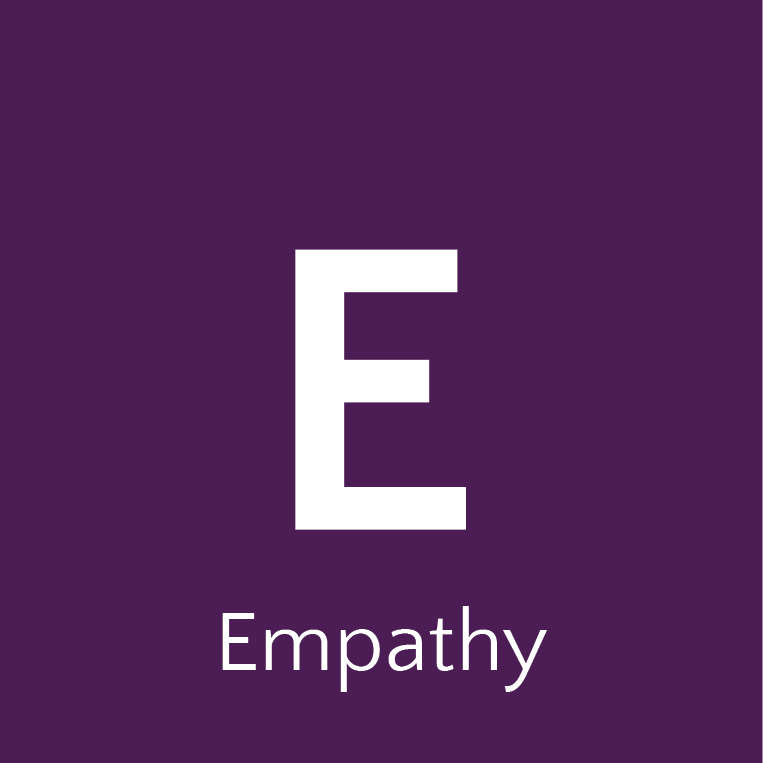 Empathy is the “secret sauce” within a thriving organization. Psychological safety is the single counter threat to high performing cultures and high performing individuals, and the most important thing is highly evolved development of empathy. Cognitive empathy is a conscious decision to recognize and understand another’s point of view and way of making sense of the world. 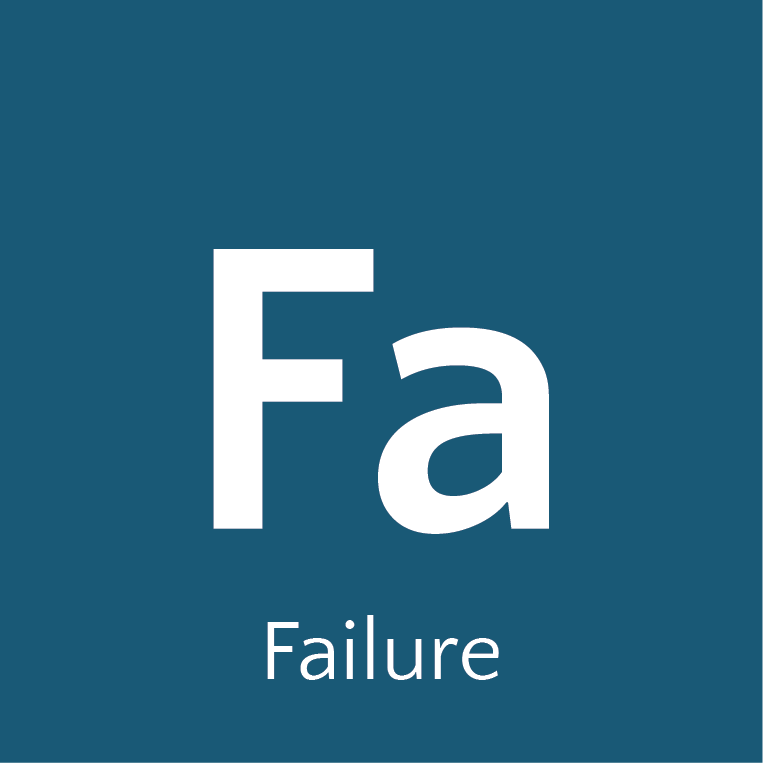 Does the word “failure” trigger you? It’s so hard for us to deal with, that we don’t spend a lot of time thinking about the relationship we have with failure. The irony, though, is that failure is one of the most important things to your brain. If you never failed anything throughout your lifetime, you couldn’t walk, talk, ride a bike, or relate to people; everything that’s meaningful to us has a string of failures that are a part of our story. Instinctively, we all know that failure is important, but we don’t want to talk about, think about and certainly not experience it, definitely not in front of other people. But in reality, the failures that we have is the evidence of how much we’ve done in life, and how much our brain has been able to change and strengthen itself. There is a difference between failure having us, and us having failure. In other words, when we can see failure as an experience in our lives that we can actually create mastery in, we can find the learning in our failure experiences. There are tools that can help us before, during and after experiencing failure, to help us leverage that learning in really powerful ways. Research has shown that a key foundation to high performing teams is “psychological safety”, which is a fancy way of saying “a place where we can trust other people, and where we can feel trusted.” A place where we can take risks, put our ideas out there, and can disagree in a healthy way. If there isn’t enough trust, it’s hard to do most of the things you have to do as a team, such as solve problems together, make decisions together, and be creative and collaborate together. When trust is low, the brain sees it as a threat, which eats up much of the cognitive, mental resources needed for other things. The hidden cost of low trust in a team is huge, and lands on the bottom line in terms of people’s physical health, turnover rates and engagement rates. 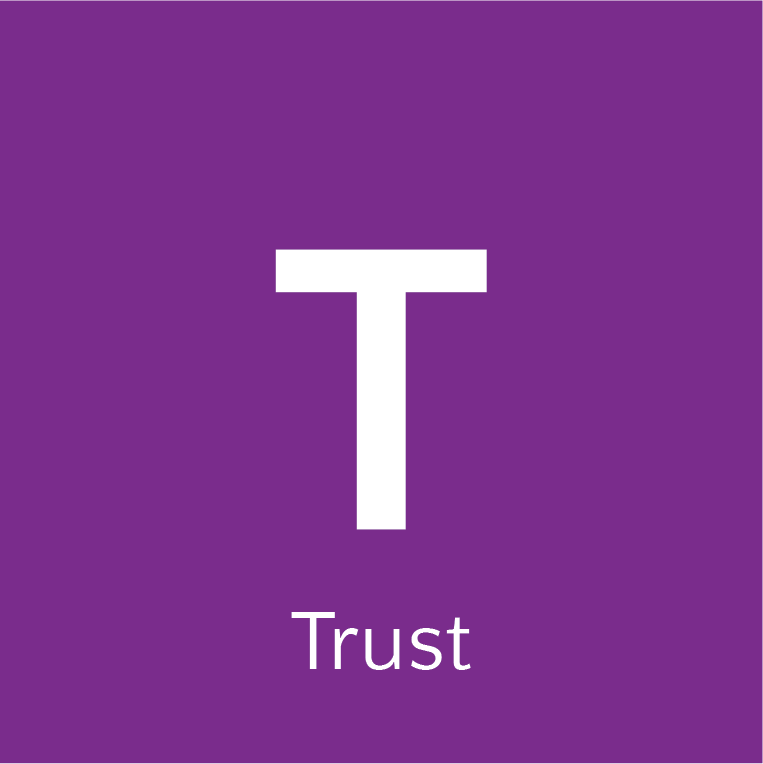 The tools we’ve created help your team members become aware of your their habits and patterns with trust, so they can work together to build trust within themselves and amongst each other. Creativity is often perceived as a trait that some people have and some people don’t. 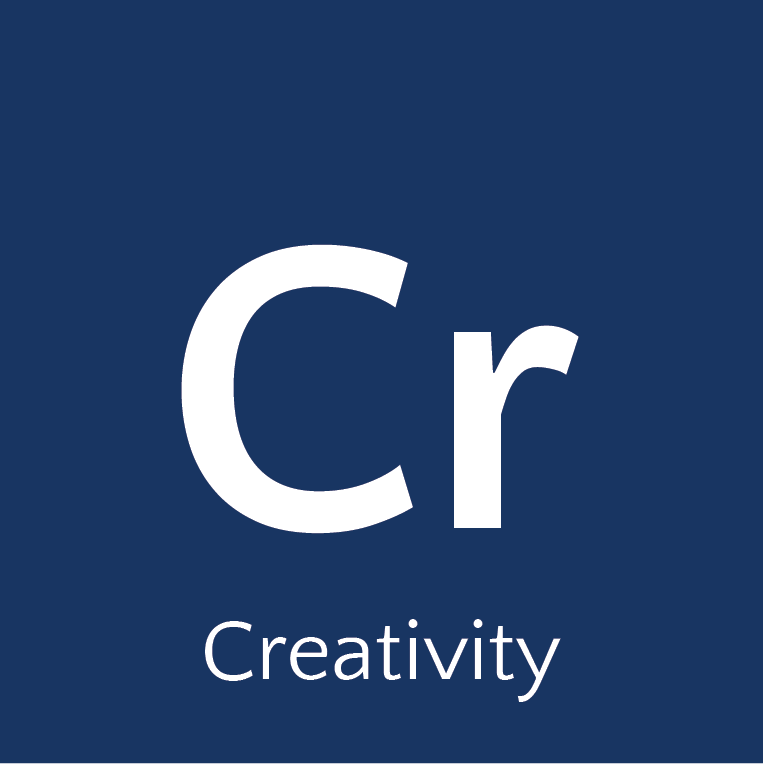 But creativity is actually a cognitive process. As scientists have studied the brain and looked at patterns as people do creative thinking, what they discovered is there are some really predictable things going on. The research shows that there are formulas and tools we can use to generate creative thought, which means creativity is actually a way of thinking, not just an outcome. Some of the tools we created were inspired by working with highly creative people, who had gotten to a stuck place and needed something to get them unstuck. The result is a set of tools that individuals and teams alike can use when they need that extra boost of creative inspiration. “How do I motivate my team? What can I do to encourage them to make things happen? 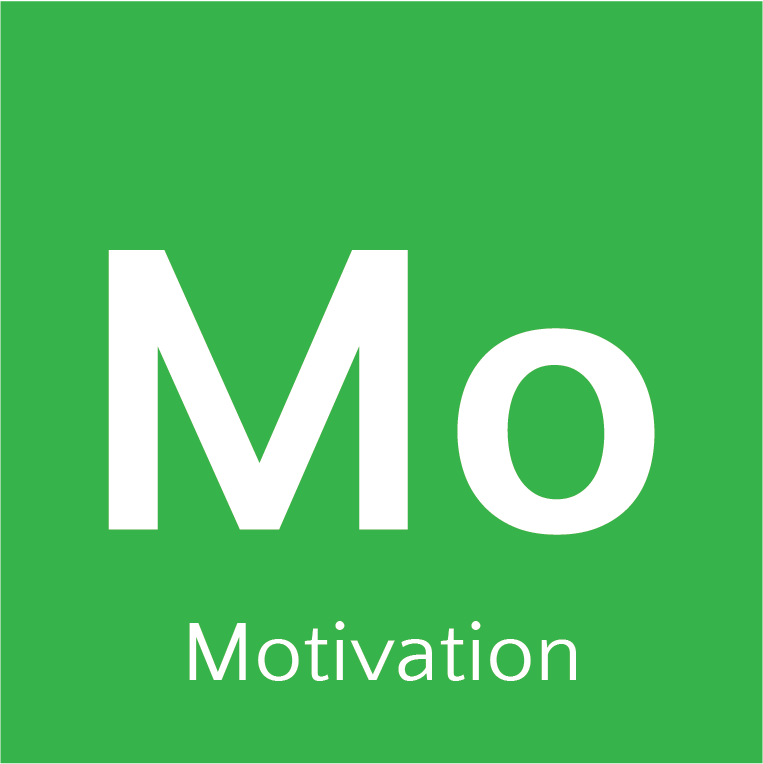 How do I motivate myself?” We hear questions like this all the time. We all know that motivation is important to teams and organizations, so we’re searching for ways to motivate the people we work with to do the work, finish the project, reach the milestone, accomplish the task. However, research shows that true motivation is rarely external. It’s actually very internal and has to do with how you’re thinking and responding to things around you. The tools we developed help create strategies and structures that will engage you and your team members’ brains to find the motivation from within themselves. 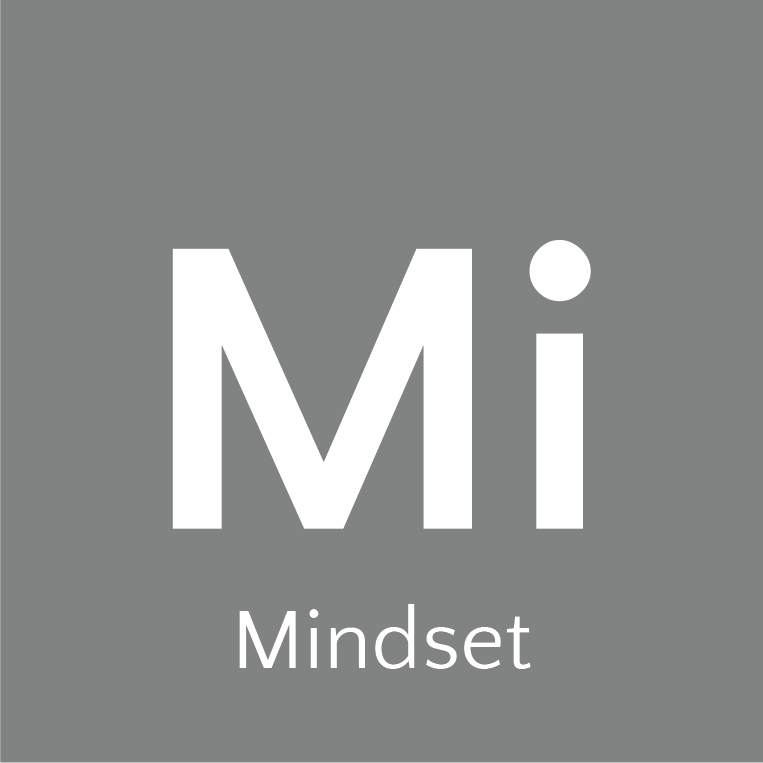 Mindset is your framework. It’s your starting place and the foundation for how you operate at work, home, play, with your friends, family and coworkers. When you spend time taking a step back and looking AT your thinking patterns and habits, you can discover a lot about how and why you think the way you do. 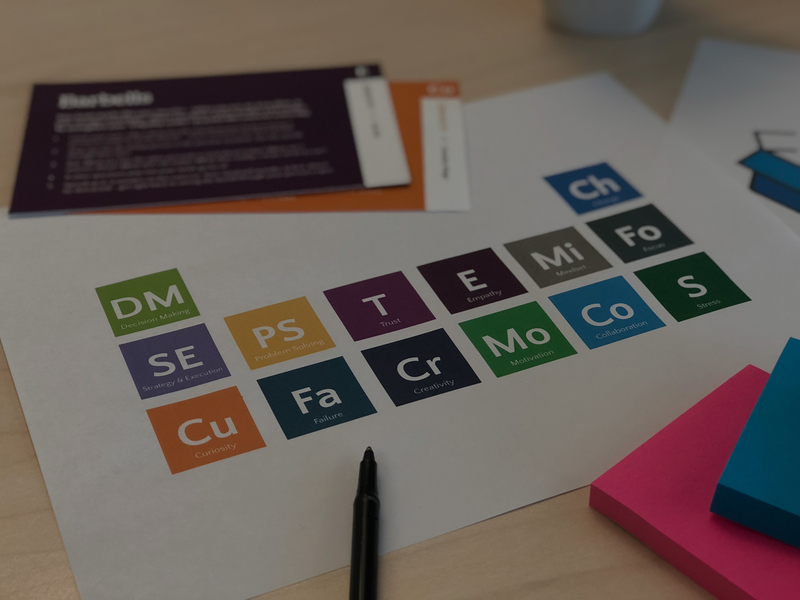 The mindset tools in the toolbox inspire you and your team to try on some new ways of thinking so you can begin to shift and develop better ways of thinking through problems, working together and understanding each other. 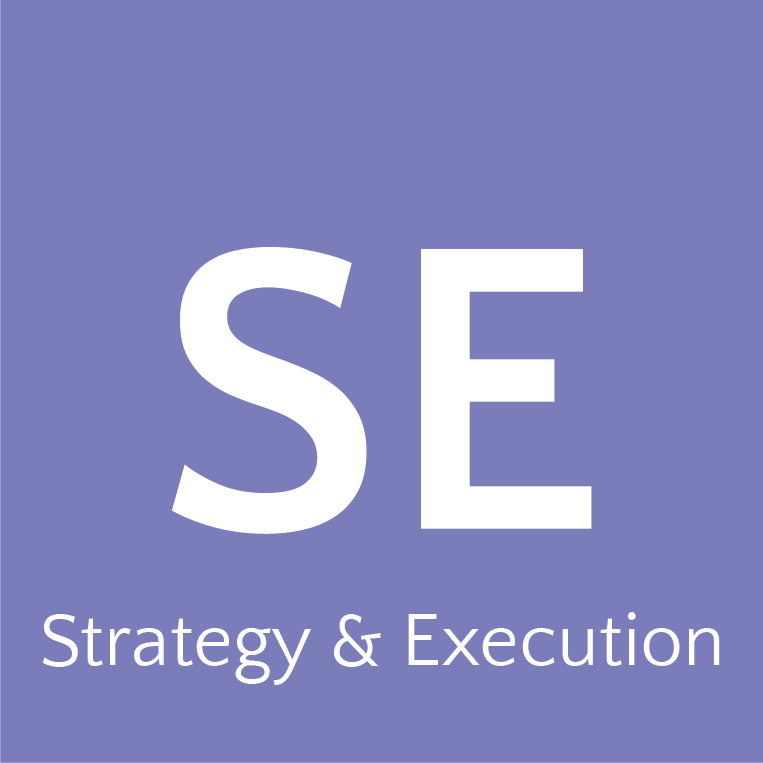 Strategy and Execution are two totally different types of thinking, but we often hear them go hand in hand. Strategic thinking is very abstract. It’s connecting pieces together in a way that makes sense and giving you a roadmap to execute against. Execution is concrete, closing the loop and getting things done. If Strategy is at 30,000 feet, Execution is at the ground level. Most of us are naturally wired up to lean one way or the other and struggle with the one that’s not our strong suit. The tools we’ve created start with a compassionate understanding that most people aren’t great at both of these types of thinking, and one or the other will feel challenging to you. Whether using them individually or with a team, the goal is to give people new ways of understanding the process of each, so you can have better teamwork, collaboration, and get the results you’re looking for. Our brains crave change. Without it, you cannot grow new neural pathways. If you want to continue to expand and grow, your brain requires change to happen through new connections and new ways of thinking. 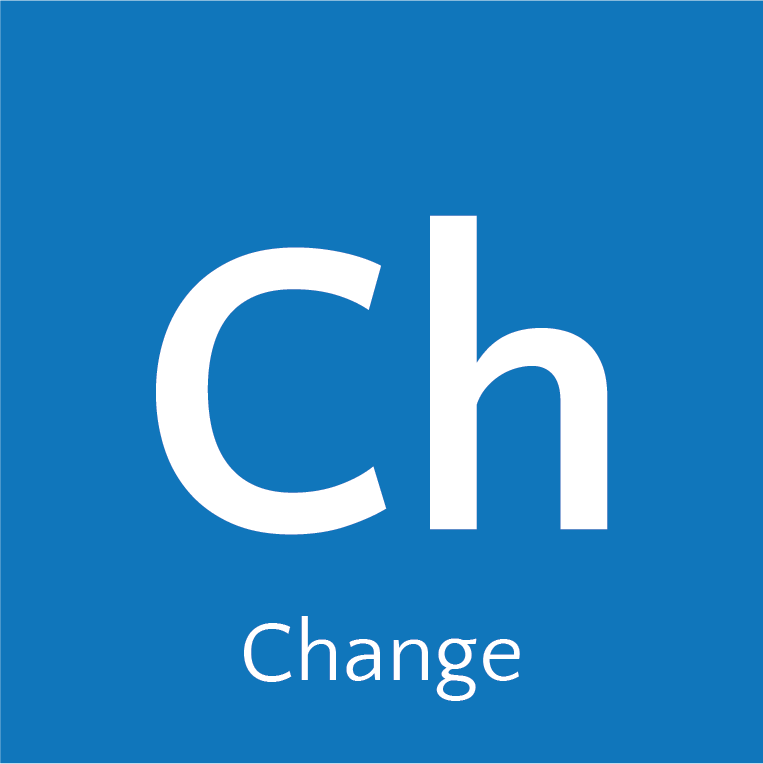 The challenge is that there’s a mechanism in our brains that causes us to first think of change as a loss, and at the workplace, it can be a difficult thing to manage. Since change is inevitable and necessary, especially in the workplace, you and your team can start practicing with the tools in the toolbox to learn strategies so that when change does arise, you can navigate it with less stress, greater collaboration, and more intention to build a stronger future. Do you consider yourself a multi-tasker? The reality is that our brains can only focus on one activity at a time, so the idea of bouncing between multiple things instead of focusing on one is not only counterproductive to our ever-growing to-do lists but is energetically expensive to our brains. 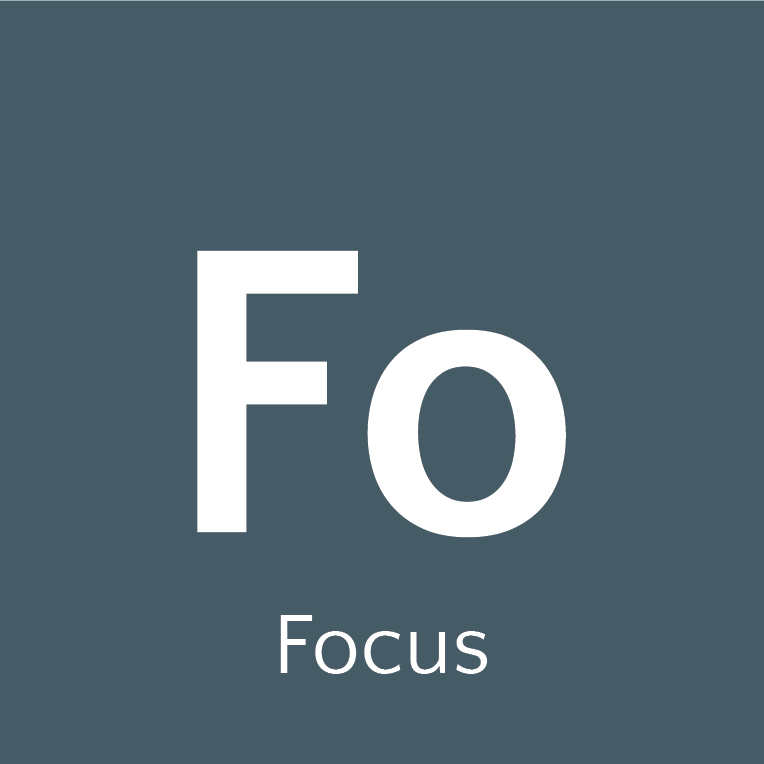 Focus is all about learning to manage your cognitive energy. Our brains have a limited amount of energy resources before they get tapped out and need to be refueled. With the tools we’ve created, you’ll learn how your brain uses energy, and how you can manage your cognitive resources. The patterns of thinking that we use during an average day when things are going well become different when we’re under stress. The presence of stress in our bodies and brains creates chemicals that lead to thinking patterns that are unhelpful and unhealthy. 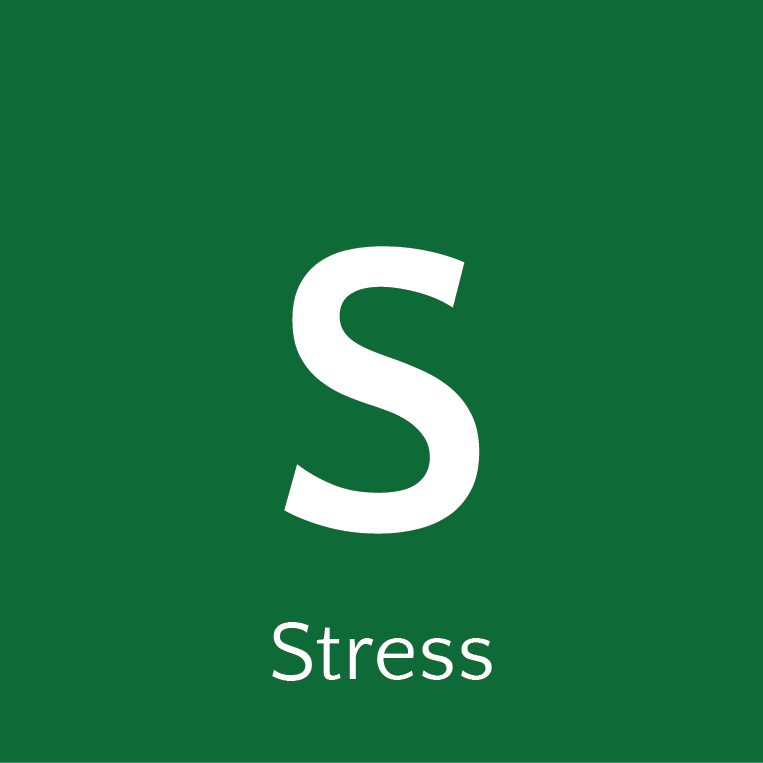 When you become overstressed and the chemicals become toxic, it can lead to sleep, eating and weight issues, and other illnesses. The tools help you stop the stress response, and begin to reverse it by helping you become more aware of your thinking, stop your brain from getting hijacked, get yourself back in control. We’re naturally wired to be connected to other people. We’re also wired to be really connected to our own ideas, opinions, and ways of doing things. Our individual habits and patterns of thinking are what get in the way when we think about collaboration. It’s also easy to confuse collaboration with cooperation and coordination. 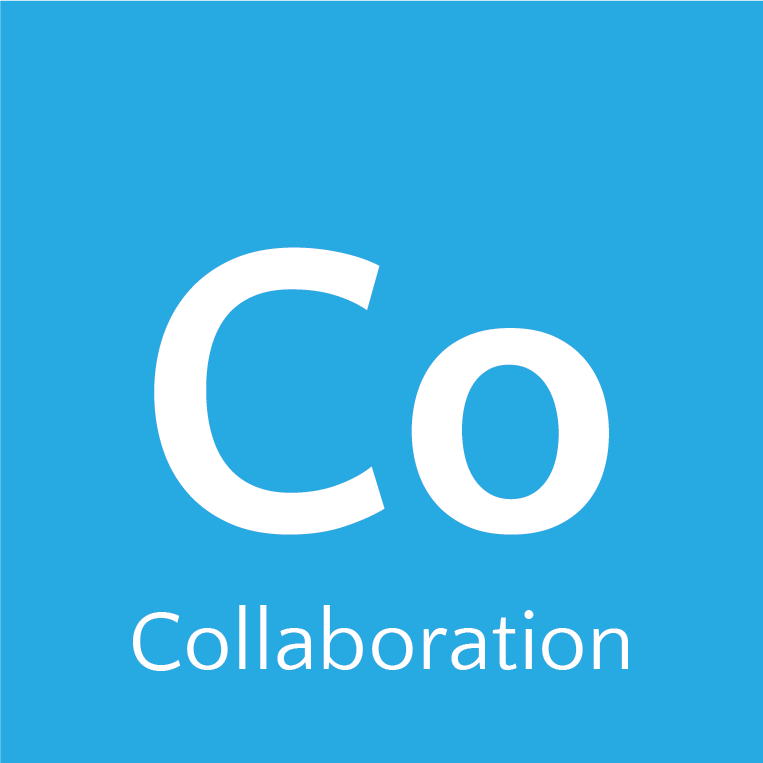 Collaboration is the melding together of a group of people’s individual thinking patterns to create a new way of thinking. It’s learning to think WITH others. Within a team, it can be challenging to know when to use collaborative thinking vs. individual, coordinative, or cooperative thinking. The tools we’ve created help you identify the differences, and learn how to merge your team together to inspire a truly collaborative result. We specialize in custom-designed learning experiences. Find a topic that interests you? Want to learn more? Contact us to discuss how your team can benefit from a one-of-a-kind training inspired by the Toolbox categories of thinking.